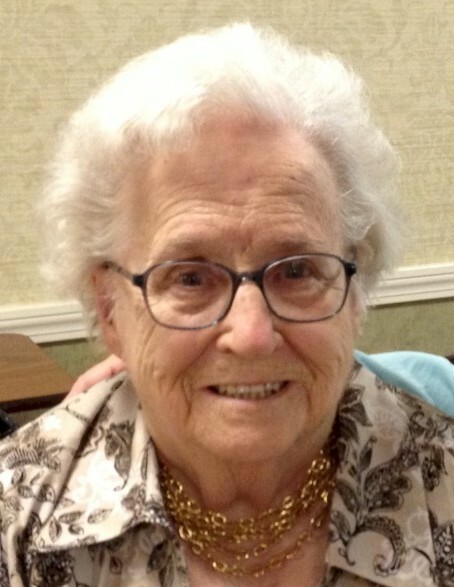 Shirley Mary Gauthier of Colchester and formerly of Vermont, passed away peacefully Saturday April 13, 2019 at Harrington Court at the age of 90. She was born October 2, 1928, a daughter of Cecil and Mabel (Foster) Adams, late of Florence, VT. Shirley worked at the Vermont Marble Company before marrying Henry Gauthier in 1952. They ran a farm before moving to Sudbury, VT, where Shirley lived for many years. After her husband's death in 1971, she worked in food services first at Otter Valley Union High School and then the Brandon Training School. She lived in Forestdale, VT before moving to Connecticut in 1998. Shirley is survived by three daughters, Gail Gauthier Johnston and her husband Russell of Marlborough, Connie Tormey and her husband Dennis of Columbia and Linda Gauthier of Vergennes, VT; three grandsons; three great grandchildren; a sister, Esther Tonucci of Brockton, MA and a number of nieces and nephews, including Flossie McLaughlin of Forestdale, VT with whom she was particularly close. In addition to her husband and parents, she was predeceased by two sisters, Mildred Dewitt and Janet Martin. She will be laid to rest alongside her husband at St. Genevieve's Cemetery in Shoreham, VT at a later date. In lieu of flowers, donations may be made to St. Jude's Children's Research Hospital (www.stjude.org), an organization Shirley supported regular monthly for many years.